This Saturday, February 13th, thrash fans are in for something special when Voivod and Vektor take over the main stage of the Black Cat. After that awesome Exodus show at the Black Cat in November you know this one is gonna be a rager too! In fact, we’re so excited about this show that we’re giving away a free pair of tickets to one of you lucky DCHM readers. To enter: just leave a comment on this post telling me what your favorite sci-fi themed band or album is. It doesn’t have to be metal, anything from Ziggy Stardust to Fear Factory to John Williams’ scores for Star Wars are fair game. At 5pm EST on Thursday, February 11th, 2016, the contest will end I’ll pick a winner at random (using Random.org) from all valid entries to win the tickets. Be sure to use a valid email you check regularly so I can contact you if you win. Don’t worry, I won’t add you to any spam lists or sell your info or anything sleazy like that. If I haven’t heard back from the winner in 24 hours another winner will be chosen at random. If you can’t wait to see if you win or the contest is already over when you read this, then you can get tickets from Ticket Fly for just $20 here. 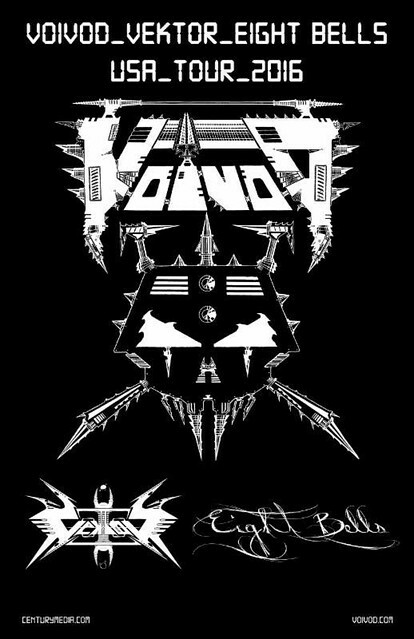 Voivod is thrash band that formed in 1981 in Quebec, Canada. They made a name for themselves by combining a more technical style of playing with thrash metal and have continued to innovate throughout their career. Vektor is a modern trash band from Philly that also dabbles with science fiction themes and some pretty technical guitar playing. 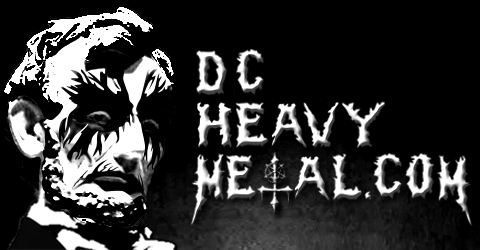 You may remember that they headlined the DCHM 4th Anniversary Show at the Fillmore a few years back. Anyways, they always put on a great show and they should be a perfect support band for Voivod. Opening act Eight Bells is an experimental metal band from Portland. The band features three women and combines many different metal elements to create a unique atmosphere with their music. Now check out these songs below by each of the bands playing and let me know what your favorite sci-fi themed music is!